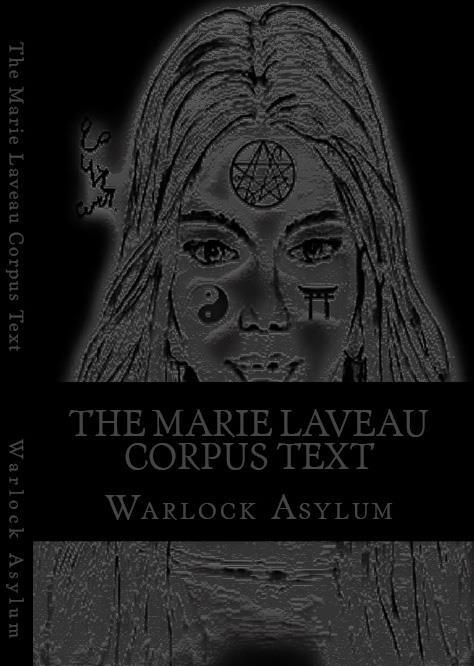 The Marie Laveau Corpus Text – Is Now Available on Amazon! Greetings! I would like to welcome everyone to the Art of Ninzuwu blog page. If this is your first time visiting us, we suggest that you take this opportunity to review some of our previous articles. Thanks for visiting us. we wish you all the best in your daily endeavors. In the spring of 2013, several members of the Necronomicon Tradition went on a three-year journey in hopes of understanding Ninzuwu culture. This exploration, beginning with the Ivory Tablets of the Crow, produced sixth text, which mark the completion of the “etheric hexagram.” Today marks the release of The Marie Laveau Corpus Text. The book not only marks the completion of the six initiatory texts contained in the Art of Ninzuwu workings, but also helps in understanding the esoteric circle of knowledge, which began with the Simon Necronomicon. Although the book is not centered on the Necronomicon by Simon, it does examine a lot of information about the tome that cannot be found anywhere else in print, beginning with the historical relationship between the Simon Necronomicon and Voodoo, as well as Voodoo’s relationship with Shinto. We also find a detailed discussion about the Art of Ninzuwu’s relationship to the previous paths described. Other questions that are answered in this work, pertains to understanding what the Ninzuwu are in historical and scientific terms, along with their place in ancient Sumerian mythology. Each of the Nine Dreams are explained in detail along with illustration of many of the Ninzuwu. The knowledge contained in this text is essential for every occult scientist, as there are a lot of surprises in this text that are not covered in this summary, including The Gospel of Marie Laveau and some unknown facts about her life. I would also like to thank illustrator Bartolomeo Argentino, for all his hard work on the project. Have a blessed day! Getting it tomorrow. Like always thee work is coming with perfect timing! !